With the production of large equipment and machines, a safe and productive work environment is crucial to success. Original equipment manufacturers (OEMs) build large machines and supply equipment, but this can sometimes result in dangerous work conditions if necessary precautions are not taken. But creating a safe and productive work environment for workers can pose challenges. Material needs to be constantly fed into the machine, but there also needs to be appropriate protection for worker’s hands or arms. Some safety sensors also don’t compensate for dirty work environments so material like wood shavings, weld slag, or metal sparks can fall through the sensor’s protective field and cause a nuisance fault. OEMs can take advantage of safety light curtains to improve safety and protect workers who need to work closely with automated machinery performing tasks like presses/press brakes, wood cutting/sawmill, and robotic welding/turn tables. Continuous production and maximum safety – You can continue to have material consistently feeding into the machine with reduced resolution. 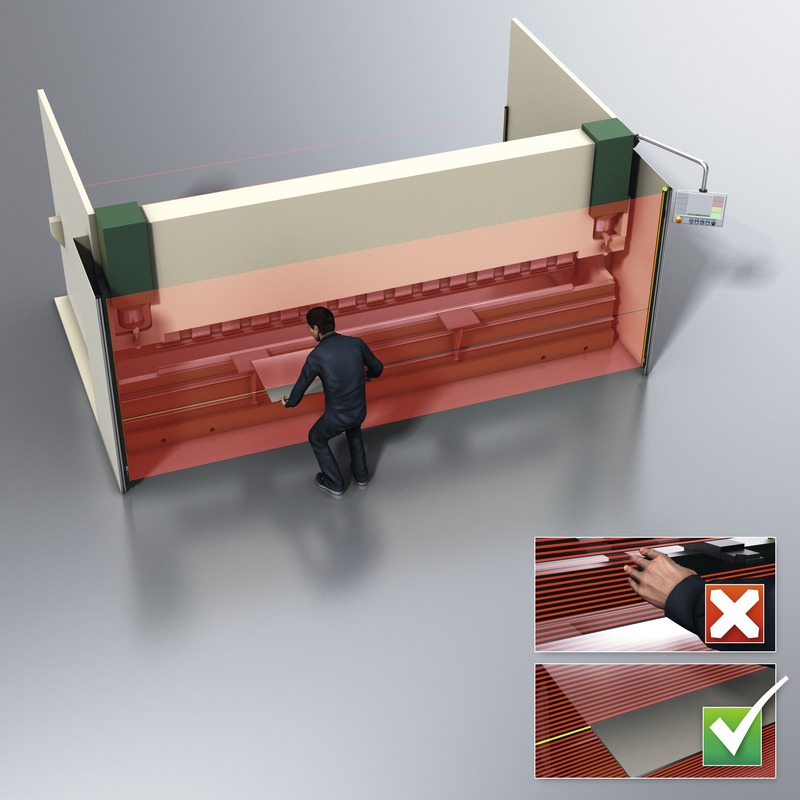 This can be configured for one or two beams and allows objects up to a couple inches thick to be within the light curtain field without stopping the machine, but still provides safety for worker’s hands and arms. Objects also don’t have to be present at all times. 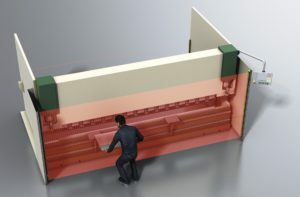 Eliminate nuisance faults – In a dirty environment, material falling through the protective field can cause nuisance faults that halt production. 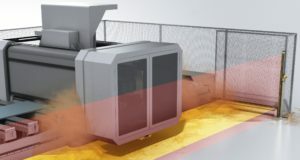 The reduced resolution feature can ignore small objects and, when used in conjunction with smart presence detection, you can ensure your operation is always running at maximum productivity. Smart presence detection uses cascading light curtains and puts a guest curtain into “sleep” mode until the host is infringed. When the guest is in “sleep” mode, any size object can fall through without being detected and eliminate nuisance faults. With SICK’s deTec4 safety light curtains, you can operate at maximum productivity and safety.